I had three strokes and several mini strokes, plus grand mall seizures. I will be posting all my game Mods and other works here and changing the site after the New Year in 2012. 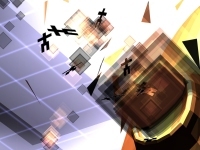 The_Particles_Within , a MOD made for IntroVersion's Darwinia www.darwinia.co.uk . The game can be ordered Online through Steam www.steampowered.com for direct download through Introversion www.store.introversion.co.uk. My Mod's theme is set on the atom's particles. 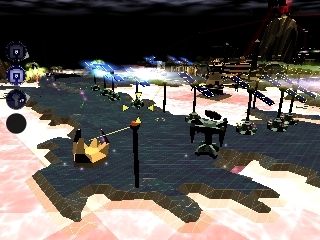 Darwinia is a virtual theme park existing inside a computer network. Darwinia is populated by 2D sprites called Darwinians that socialize, reproduce, and develop their own culture - they are by many definitions alive. The one skill the Darwinians lack is the ability to defend themselves, so they know they are in trouble when a nasty virus infects their system. 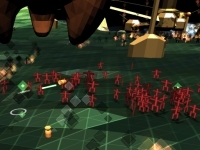 Your Important Mission - Destroy the virus and SAVE the Darwinians from extinction! FEATURES:* Combines fast-paced action with strategic battle planning. * Combines elements of strategy, action, "G-O-D" gameplay, and retro arcade action into one endlessly replayable work of genius. * Intuitive control mechanism makes it an unbelievably fun pick-up and play game. 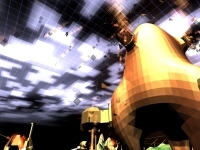 * The world is both surreal and retro, filled with fractal vistas and populated by animated iconic sprites which battle for control of Darwinia. * Distinctive soundtrack is futuristic while at the same time showcasing a heavy influence from classic video game music. I am a member of the Web Ring for now and will fill in the rest of my game Mods and art pages...However they keep Hacking into my site, if this continues I will sue and discontinue their service. The idiots. I have had three strokes and am having seizures, but not as stupid as them...leave my stuff alone, or you better have a large wallet. This is No Joke. Follow the readme inside the file. You must complete the Darwinia Game before loading the Mod. CrimsonSun is a member of the WebRing group.